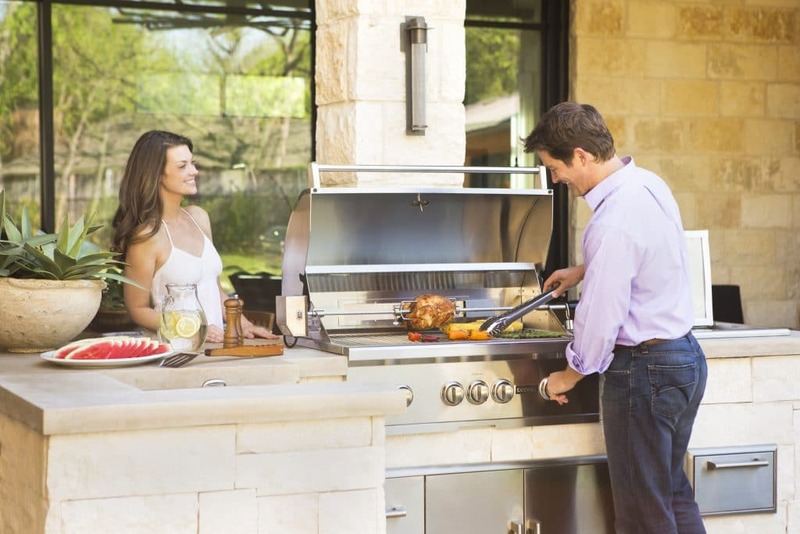 Coyote Outdoor Living is passionate about being a part of fulfilling our customers’ outdoor living aspirations. Our products are designed with that goal in mind from conception, through engineering, and throughout the life of the product. Coyote Outdoor Living believes outdoor living enriches the lives of our customers, and it is our passion to make this happen. Outdoor living can be about life on the go or the migration of the heart of the home from the inside kitchen to an outdoor entertainment oasis. Whatever outdoor living means to you, Coyote designs and builds products to complement your outdoor lifestyle. Product performance is an extension of our passion. We believe that the preparation of food and drink brings people together, sparks creativity, and is a source for comfort and relaxation. Coyote Outdoor Living’s products are designed with precision, power and durability to give you and your loved ones the space and freedom to pursue your outdoor passion to the utmost. Coyote Outdoor Living understands the importance of delivering durable products that last a lifetime. 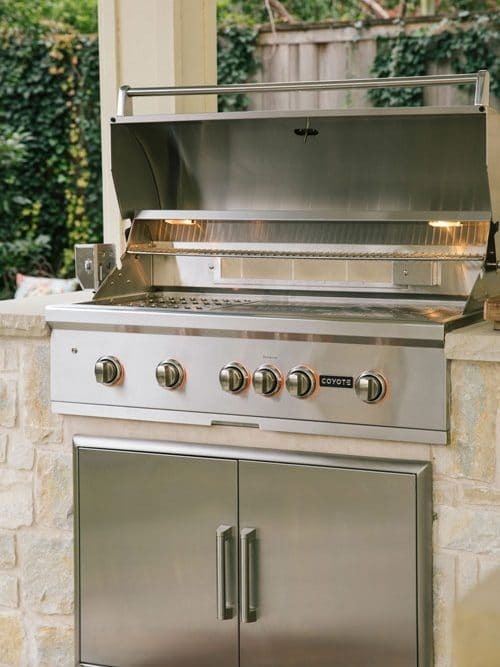 All of our grills are built with premium grade 304 stainless steel throughout and have features such as double-walled stainless steel hoods, cast stainless steel burners and zinc nickel alloy knobs. Our specially designed firebox combined with our professional burner system delivers a perfect, even cooking experience every time. At Coyote Outdoor Living, we believe that our customers should never compromise their outdoor living experience. With our best-in-class features, high quality materials and construction at an attainable price, they will not have to. Even the most discerning outdoor culinary artist will be impressed with the power and efficiency of our Coyote Infinity Burners™ and Coyote I-Burners™. Coyote Outdoor’s RapidSear™ burner will give the best steakhouse a run for its money for intense searing of steaks and seafood. Cooking at night? Standard interior lighting on all models will mean great results every time. Value does not end with the products themselves. Coyote Outdoor Living prides itself on our customer service. We care – in word and deed. Our products not only have great price points but also are covered by a comprehensive warranty to ensure your experience is what you want and more. 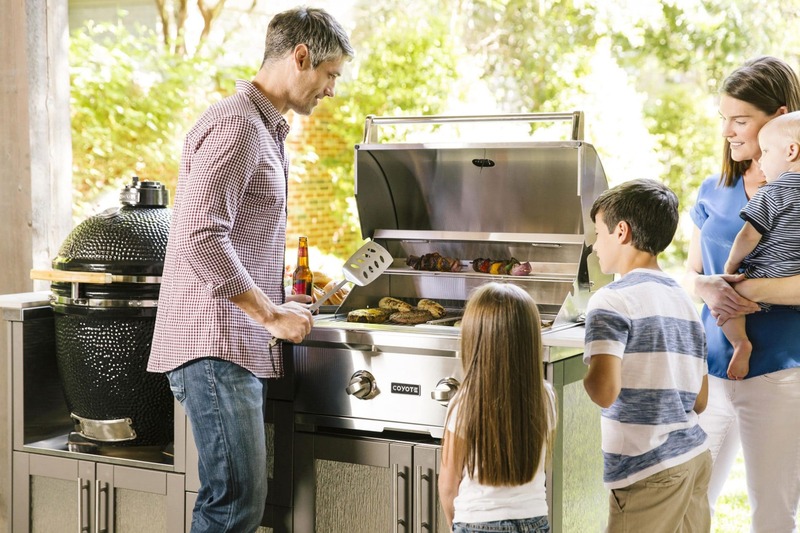 Our customers will not have to compromise desired features and benefits, or cooking performance and product longevity because of a price point.